Under The Gun Review is everywhere these days! Having grown out of midwest beginnings, the fact we’re even posting about a West Coast event shows what hard work and years of dedication can achieve and we have each and every one of you to thank for that. Onto the goods. 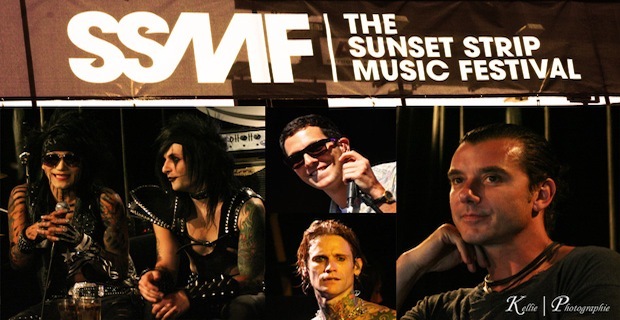 Recently, we sent photographer Kellie Gannon to cover the 2011 Sunset Strip Music Festival in sunny California. Featuring the Veronicas, Buckcherry, Black Veil Brides, Cobra Starship and Bush, these are easily some of the most stunning concert photos we’ve had the opportunity to bring you. Click below and enjoy!